HomeTechnologyThis week in Android: Razer Phone 2 review, Xiaomi Mi Mix 3 hands-on, and more! The end of #Phonepacolypse draws nigh! The Razer Phone 2 came out last week, and our review is in. Is this the premium flagship gaming phone that you’ve been waiting for? Premium? Certainly. Flagship? Questionable. Gaming phone? Yes. 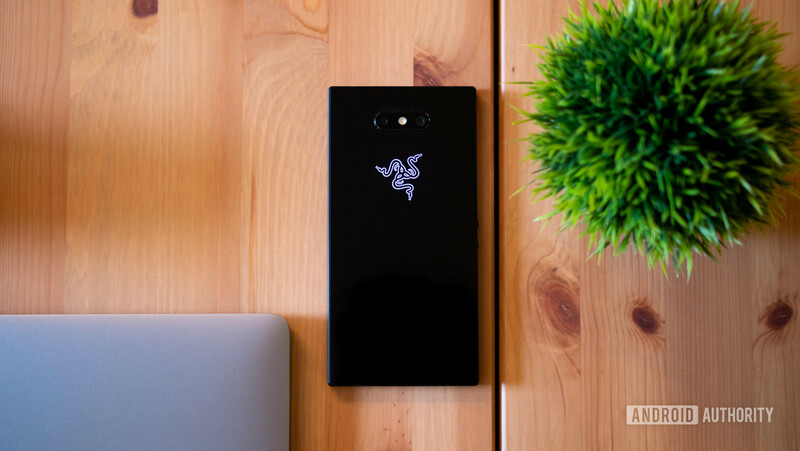 Our full review puts the Razer Phone 2 through its paces and comes to the inevitable conclusion. What’s the final verdict? You’ll find out. Also, we got our first look at Xiaomi’s new slider, the Mi Mix 3. This refresh of the Mi Mix line brings a 93.4 percent screen-to-body ratio to the table with no notch. The sliding selfie cam is manually operated but comes with a lot of bonuses as well. We have a full gallery of photos of this new device, and we can’t wait to put it through its paces. But that’s not all for the week. Google is altering its deal with OEMs. Hopefully Google doesn’t alter it further. We found out Google is insisting on two years of updates and in the EU, Google’s services will cost a princely sum. Night sight on the Pixel 3 is incredible, and speaking of the Pixel 3, things haven’t gone real smoothly so far. Plus we find out what we all have in common when it comes to smartphones, and the answer probably won’t surprise you. Our full review of the Razer Phone 2 is in, and it’s basically what we expected it to be. The Xiaomi Mi Mix 3 is Xiaomi’s latest flagship, packing a 93.4 percent screen-to-body ratio and up to 10GB of RAM. Night Sight on the Google Pixel 3 is the answer to low-light cameras, and it’s a really, really good answer. Google will start charging for Google Play services in the EU, and OEMs will pay a lot, as it turns out. Want to make an Android phone? That’ll be two years of updates, please. The Google Pixel 3 might have some memory management issues. Suddenly 4GB of RAM doesn’t seem like a good idea. The Pixel 3 also has a great camera, but sometimes, that shot you captured wasn’t captured after all. Mediatek interviewed cell phone users of all ages, and found out we all have one common desire. Uninstall tracking tools are now available for iOS and Android, opening the door for a host of headaches. Know thy enemy indeed. What can we learn from the mostly successful launch of the “cheap” iPhone? Xiaomi’s gaming phone sequel packs up to 10GB of RAM and a customizable light strip on the side of the phone. Samsung sent out an animated invitation for its developer conference, and it sure looks interesting. A surprisingly simple, yet complicated scam — and you may have been involved, even if you didn’t know it. Yes, you read that right. Charging over Wi-Fi. If Google Translate hasn’t failed us that is. Who wants to win a Sony Xperia XZ3? This week, we’re giving away five (yes, five) Sony Xperia XZ3s. Enter this week’s Sunday giveaway for your chance to win!